To date, the following projects have been launched. Beekeeping: ten beehives, nucleus hives, colonies, a honey extractor, pollen traps and other relevant tools and equipment are provided in addition to a grant towards the cost of training. Livestock: two pregnant goats and the cost of their vaccination is provided in addition to grant towards the cost of training. Poultry Farming: twenty vaccinated egg-laying hens are provided in addition to relevant tools and equipment such as fencing. A grant is also offered towards the cost of training. Organic Farming: seeds, fertiliser, pesticides and basic gardening tools are provided in addition to a grant towards the cost of training. 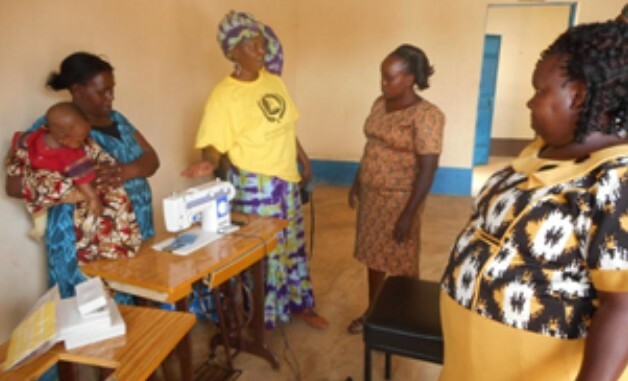 Tailoring: a sewing machine and other relevant supplies are provided with a grant. Organic farming: Communities are provided with the necessary skills and support to grow and sell organic produce at local markets, generating a sustainable income for themselves and their children. 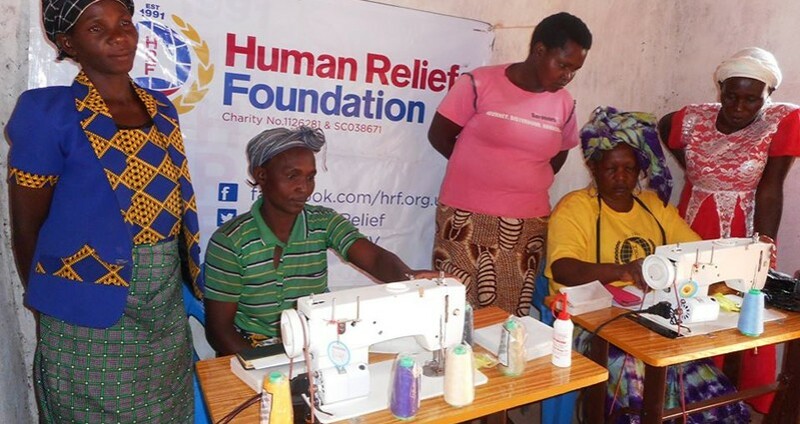 Tailoring units: Sewing machines, material and training are provided to households, enabling them to make an income through working as tailors. Livestock farming: Communities are provided with training on livestock keeping and given two animals. Families will be able to sell their produce from two animals into the local markets and generate a sustainable income for themselves and their children. Honey bee farming: Will allow families to sustain themselves by utilising honey bee farming to produce an ethical value chain of honey. This can then be sold to local markets, hereby providing families with an income. Out of 15 female-led households in the village, 13 received grants that have enabled them to start earning or to increase their existing household income. 27 families from the bottom three income tiers (earning less than US$ 1.25, US$ 2.5/day and US$ 5/day), have been given grants that can increase their incomes up to US$ 100/month. Making and Honey Suppliers) will increase retail businesses to up to 11; the garment making businesses will also add more players in the Services Sector. Moreover, we have added 9 businesses in the supplier’s market/wholesalers sector. The village has more local produce now in terms of livestock, eggs and milk and is less dependent on other markets than before. HRF reached 10 groups in the Kibwezi county in Kenya in 2016. These included the Sikizana Trust For Community Development; Reach, the child self-help group, Canaan Tailors and Dress Making Women’s Group.